Robert Dancik, artist, inventor and instructor, holds a Masters degree in sculpture from Northern Illinois University, and a BA in fine art from Adelphi University. He has been an artist/teacher for more than 30 years and is presently an adjunct professor of education at Pace University. 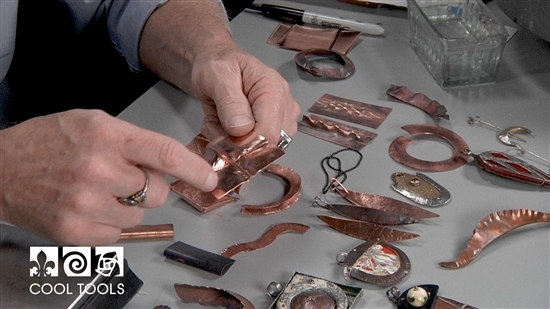 Robert has taught people from kindergarten to graduate school while exhibiting his jewelry and sculpture in museums and galleries across the US and in Europe, Japan, and Australia. In this video, Robert shows us the technique of Foldforming. 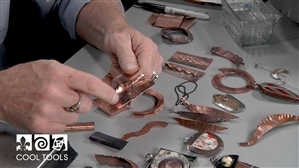 Foldforming is considered the only new technique in metalworking, developed by Charles Lewton-Brain in the 1980s. Foldforming allows the artist to turn sheet metal into wonderful 3-Dimensional shapes and textures, without any soldering. This technique has endless possibilities! If you are interested in the products used in this video, please click here.